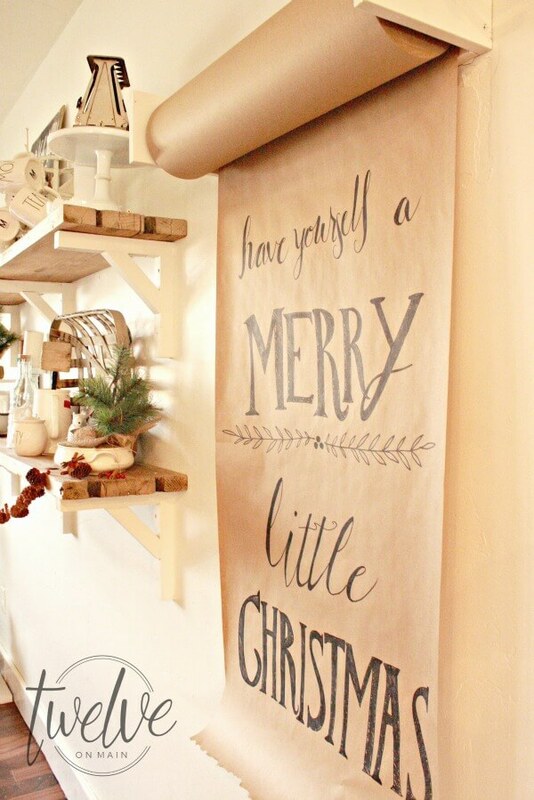 I love a new season with new décor possibilities, but something about Christmas is different. 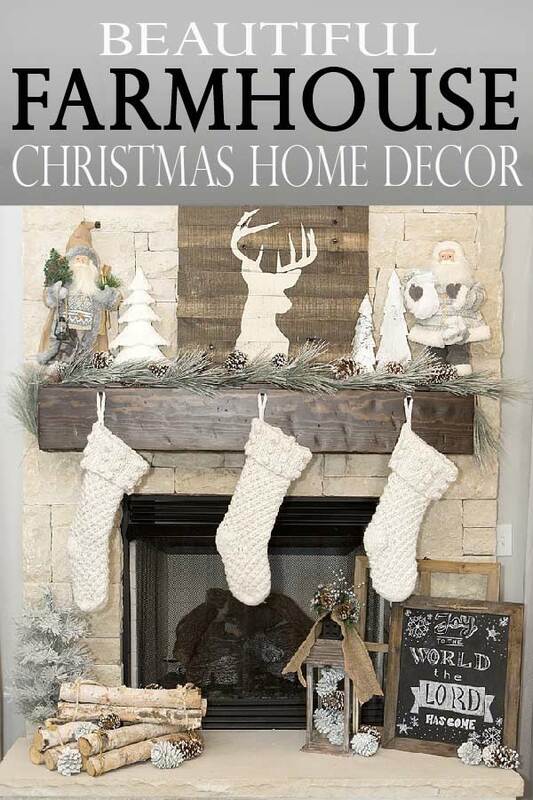 For most, spring, summer and fall décor might be beautiful, but Christmas décor takes over the entire house. I mean, does any other season have an entire indoor tree dedicated to it? I’ve never once seen a spring tree sitting in the corner of my living room. Christmas gets more attention for good reason. It’s both a holiday and a season all on its own. It is magical, warm, sentimental, emotional, and cozy all at the same time. 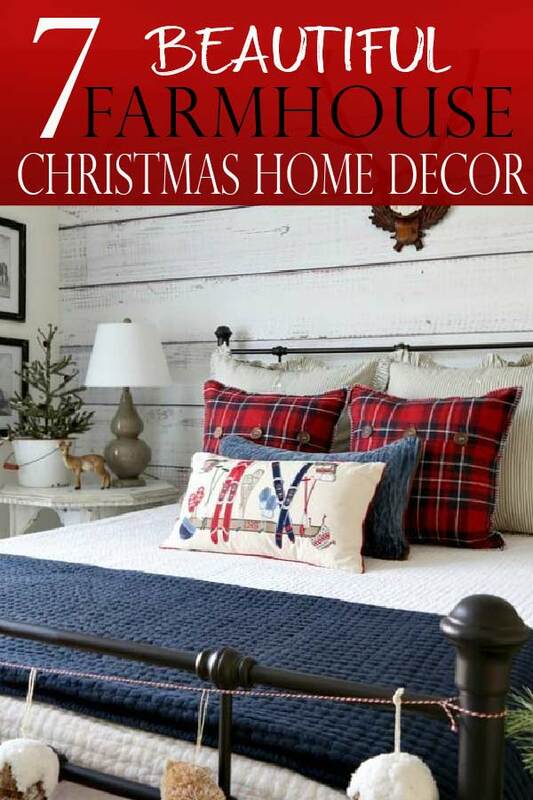 The farmhouse style is trending all over right now, and farmhouse Christmas is no exception. What a beautiful way to skip the glitz and glam and go for authentic, shabby chic farmhouse style that is simplistic and elegant all at the same time. 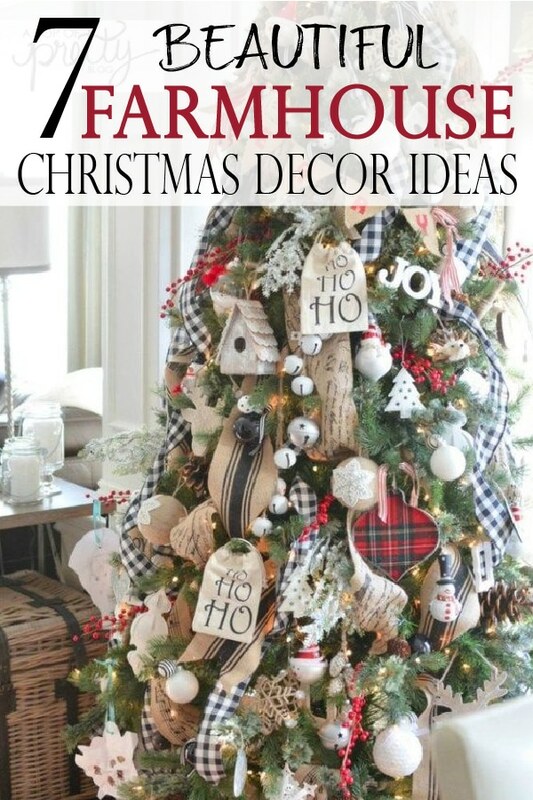 The best part is, you can add farmhouse style to any home or décor and it easily fits right in without any fuss. The mantel is always where I love to begin my décor. This farmhouse style is beautiful with neutral colors, soft textures, and an accent of greenery to pull everything together. It makes me wish so badly I had a hearth. 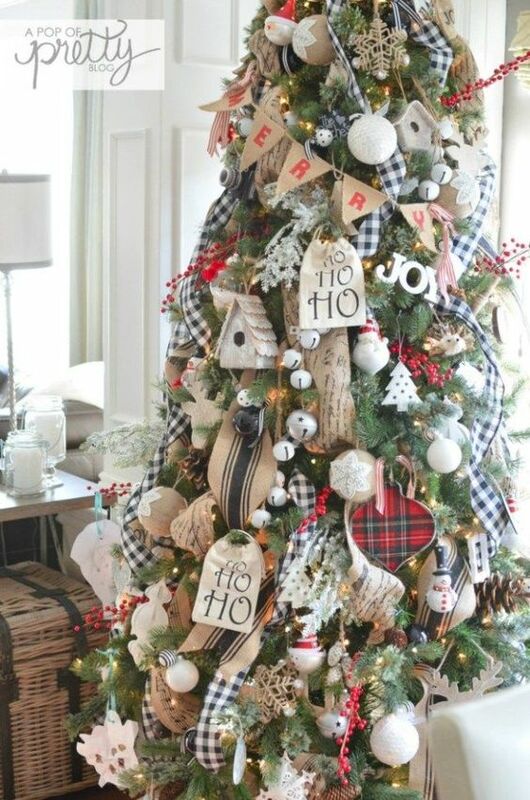 Obviously, the tree takes center stage at Christmas time, and this one surely fits the bill. 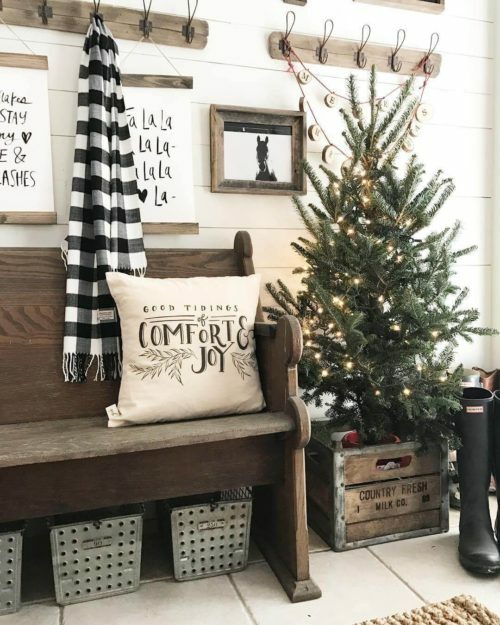 Top to bottom and everywhere in between, this farmhouse style Christmas tree proves that you really can never have “too much.” It works perfectly. All the elements from the ribbon to the birdhouses and bells makes a perfect statement. I love this idea for an entry or dining room. Using a blanket as a tablecloth brings an instant warmth to the room next to frosty pines. It’s absolute farmhouse perfection. Use what you already have and transform it for Christmas. This is just an ordinary bookshelf, but when you make room for an advent calendar and wrap all your “other” books in holiday paper, it becomes a centerpiece for Christmas décor. Honestly, add a little sprig of green, and almost anything can be transformed into holiday décor. I love to keep things simple, and that includes my dining table. 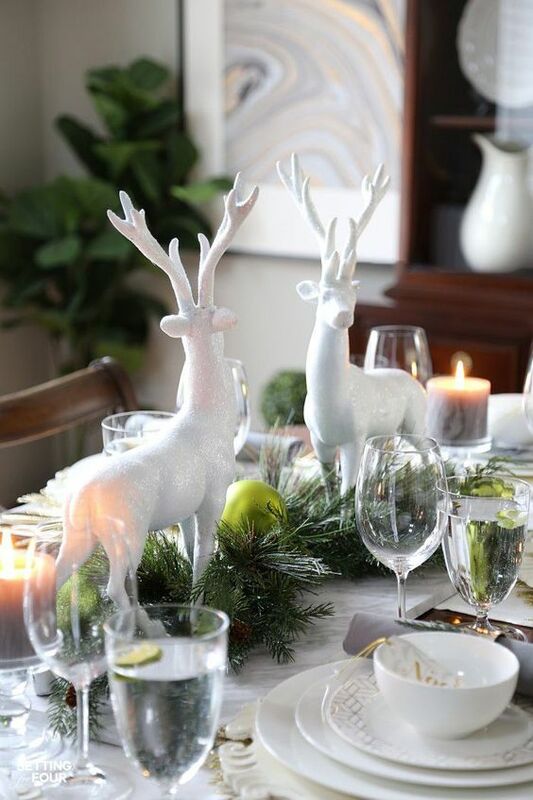 Classically beautiful, but minimal color and nothing over the top is the perfect Christmas setting. How perfect is this paper roll in the kitchen?! 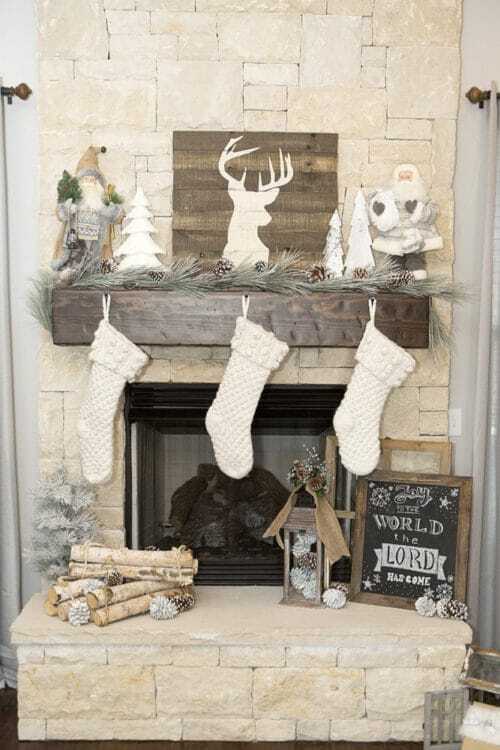 I love it all year long, but this is especially perfect for a farmhouse Christmas. 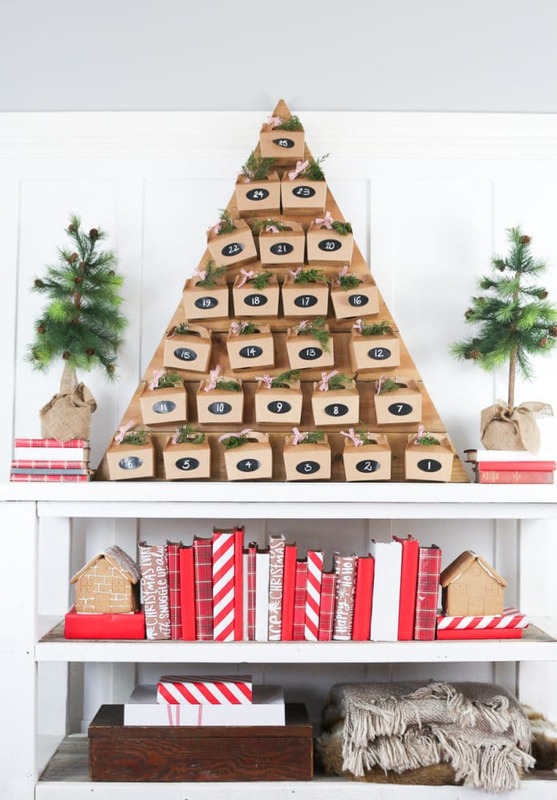 You could use a similar idea to create a fun Christmas countdown as well. Don’t forget about the bedrooms. Especially the guest rooms if you’re having family come to town. 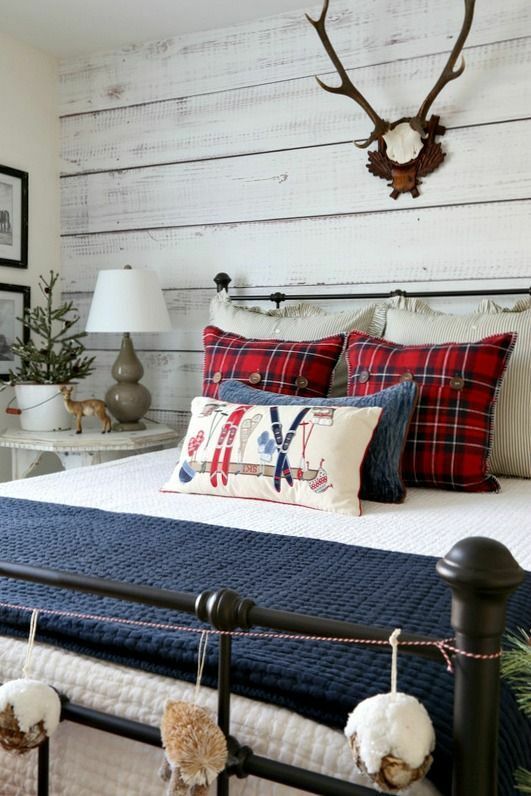 Spruce things up with seasonal pillows and a little greenery. It doesn’t take much to bring the whole family into the Christmas spirit.